There will be hearty applause indeed for the winner of the biannual Wraptious cushion competition, where they invite artists and designers to enter up to three cushion designs for the public to vote on. Wraptious are an artist community whose work you can buy on gift wrap, stationery, prints, homeware and t-shirts that are all made in the UK. I felt a little intimidated to enter as there are some really amazing entries, but when Wraptious extended the competition deadline I summoned up the courage to enter three of my designs. This morning the postman delivered a plump cushion-shaped package to me and upon opening it, I discovered that my lovely husband had decided to surprise me with a cushion in my Butterfly Florals design! 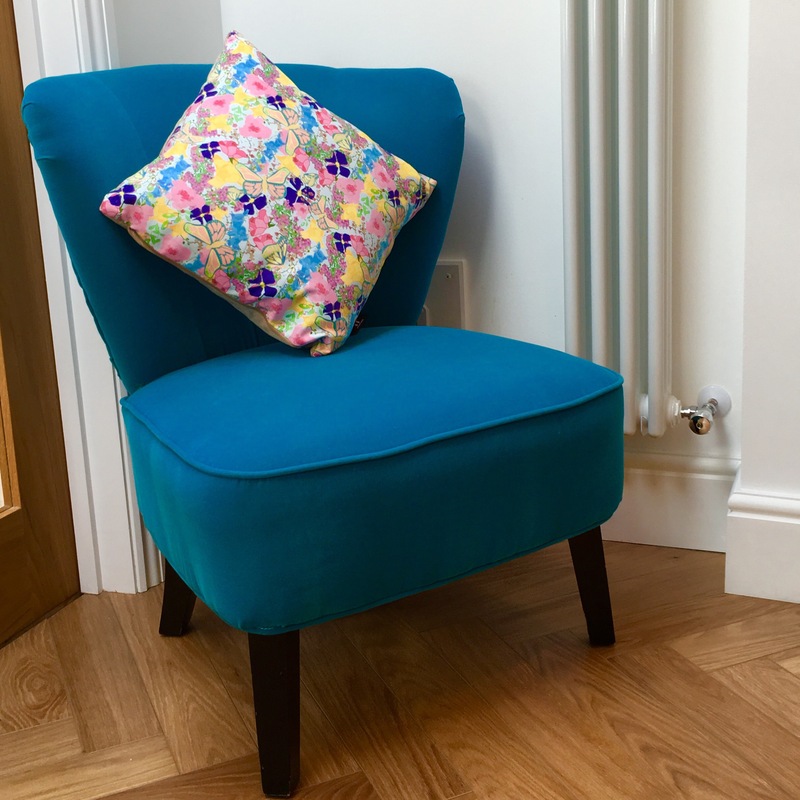 The cushions are printed on a vegan suede material which is very soft and stroke-able and the printing is really crisp with vibrant colours. I’m really very happy with it. You can vote for your favourite until Sunday 8th May by liking the post on Wraptious’s Facebook page, Instagram feed or if you love an entry you can buy it from the Wraptious competition page, with or without a filler.